How can I get involved? Connect to the community? At Grace, we have a lot of ways to get connected. Some groups meet together for Bible study and fellowship. Other groups bond around a common service or task. Whatever is comfortable for you, we urge you to connect. Become part of the community. Develop relationships with depth. This short Bible verse helps us understand what it means to be a community. To love one another, to support one another in times of joy and times of sorrow, to provide for one another in practical ways … this is how we live together as a family and follow the example of Jesus. Kid’s Church and Nursery care happen during the morning sermon. Each age-appropriate class uses resources that illustrate and apply Bible teaching. All teachers and helpers have undergone a background check so that you can be assured your children are safe and well cared for. Our children also have age-appropriate classes during the Community Group/Christian Education hour following our worship service each week on Sunday. AWANA is our mid-week kid’s club for ages 3 through 5th grade. They meet on Wednesdays from 6:30-8:00. For info, call Mikel Patterson: 727-549-1819. Our high school and middle school students meet together on Wednesday evenings from 6:30 – 8:00. The focus is on building relationships with one another and developing mentoring relationships with the leaders. They have time for games and socializing, as well as a time of teaching. They also meet together on Sunday mornings during the Christian Education hour and monthly for outings and social gatherings. Family Life is a group of adults, some married and some single, who are raising kids. They meet every Sunday after worship during the Christian Education hour in room 8. They are led by Dr. Jay and Mary Beth Salomon. Dr. Howard Diamond teaches a class focused on Life Lessons from Biblical Characters in room 6. This is a great group for more mature adults. Gary Ripple also leads a group of adults in room 5. This class is doing a Bible Survey entitled: "God's Plan in the Scriptures." There are a number of ways to get involved with the young adult community. Grace Young Adults Christian Education Hour: Meet in room 7 for inductive studies of God’s Word after the Sunday worship gathering. We have frequent social and fellowship gatherings, as well. Meets Tuesdays, 7:00-8:30 p.m. at the Britt Academy, a Department of Juvenile Justice facility for incarcerated teen boys. The team provides mentoring, guidance, and Bible study weekly, and provides dinner and a special service weekly each 3rd Sunday of the month. Meet weekly on Wednesdays, 6:30-8:00 with church and neighborhood children ages 3 through 5th grade. Provides a weekly mentoring and Bible study for students at our neighborhood public school, Bear Creek Elementary. Provides food for needy individuals and families in the Bear Creek Community. Meets monthly to provide for prayer and financial support for our church-sponsored missionaries. Our choir meets weekly for practice on Thursday evening from 7:00-8:30. 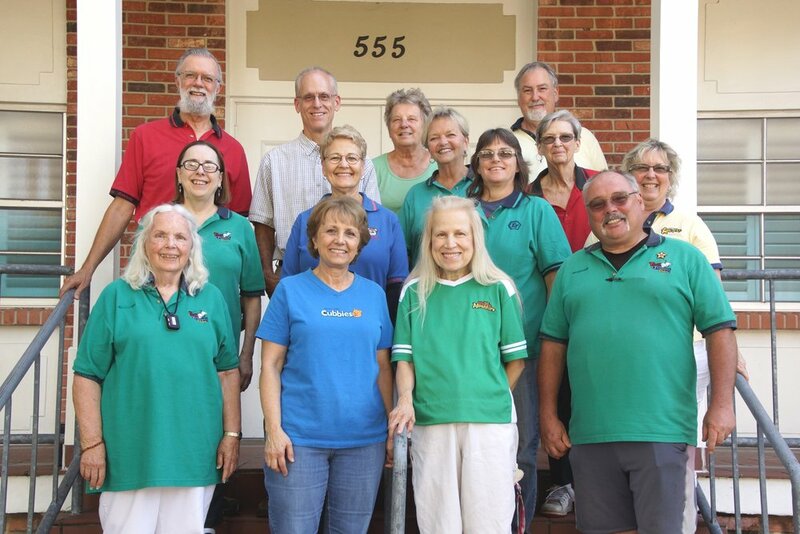 This group is a wonderful way to connect with others and become part of a supportive community. Everyone is welcome.